Advertorial article (blog post) on the promotions (public) page. Before proceeding with your purchase, please read the Advertising Guidelines document and the instructions at the bottom very carefully. Full page advertorial – with lifetime exposure on the website. Excellent for SEO. Readership: 200+ SME business owners and employees plus any public visitors to the Weskus Sakekamer website. 1 Company Logo (minimum size: 250px x 250px). 2 Photos in jpg or png format – not smaller than 960px wide. There must be text on the page. We do not accept advertorials with photos only. Optimum number of words is 800-1,000. Submit in a .doc or .docx or .odt text file format. 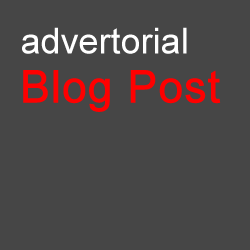 You must provide a subject or title for the advertorial i.e. the main heading. Divide your text into sections with sub-headings, bullet lists, short paragraphs to make it easy to read. Try to provide some value-added information as well as just trying to punt your product or service. Please proofread/spellcheck all your own text. We do not do ANY corrections on your behalf. We simply copy and paste your wording into the layout. Remembr to provide a URL link to your own website, social media page or promotional landing page. Make sure that your phone number(s) AND address are correct. There is nothing more irritating than an advert without at least a town/suburb. You can provide GPS co-ordinates if required but we do not display a map on the page. If you are a Weskus member, you can also provide the URL link to your Listing page here on the Weskus website. We only accept .png or .jpg or .gif files for photos on the page. Maximum file size: 256kb each. Our design team will code and lay out the advert page using the information, logo and photos – free of charge. We will notify you when the advert has been published. Please read this page through before starting the payment process. Click on the “Add to Cart” button above and proceed to pay the amount required. We use a secure South African online payment processing company so that you can easily pay for your advert online via Credit Card, Debit Card or Cheque Card. Your transaction information/banking details are NOT recorded or stored by Weskus Sakekamer. Attach your document with text to the email. You can use .doc, .docx, .odt text documents – or you can just type your text into your email. Attach your logo to the email. Attach up to 2 other photos to the email. Our design team will verify your payment and if all is successful, they will code and layout the Advertorial page using the information, logo and photos. We will publish your Advertorial within 3 business days from receipt of all acceptable content. We will notify you when the Advertorial is published on the promotions page. Please carefully check the advertorial on the website and immediately report any problems or errors. If we do not hear from you within 2 working days after publishing, we will presume that you have accepted the advertorial as being correct in all respects. was last modified: February 5th, 2018 by Dirk B. Members adverts are FREE - go to Step 2 below! Full page advert (Exposure and access expires after event date). Readership: 200+ SME business owners and employees plus any public visitors to the Weskus Sakekamer website. Maximum 500 words - Text is mandatory - we do not accept just photographs or PDF files. 1 Company Logo (Minimum size: 250px x 250px) - optional. Maximum of 2 Photos for your event. (We only accept .png or .jpg or .gif files for photos on the page - Minimum 960px wide. Maximum file size: 256kb each). Please make sure that you own the copyright to these photographs. Email campaign - Full page with no other competing adverts, etc. Will have Sakekamer header branding at the top, followed by your campaign information. Readership: 200+ SME business owners and employees. Maximum 500 words - Text is mandatory - we do not accept just photographs or PDF files for a news campaign. Provide text in .doc or docx or odt file format or typed directly into an email. Maximum of 3 Photos of your product/services. (File format: .png or .jpg or .gif files - Minimum 960px wide. Maximum file size: 256kb each). Please make sure that you own the copyright to the photographs. Banner Advert at bottom of WesNuus Newsletter - sent weekly. NB: Members discount is 20% per edition. Size of Advert: 670px x 150px, not more than 256kb in file size. Acceptable file formats: .png (for banners with text), .jpg (for photographic), .gif (for animated). We must receive your banner and information by no later than Tuesday, 5.00p.m. (if there is still space in the newsletter).